An American drug company hiked the price of its opioid-overdose antidote by 600% since going to market in 2014, has cost Medicare and Medicaid health programs $142 million, according to a new Senate subcommittee report, which called the company's actions a way of taking advantage of the worst drug overdose crisis in US history. Senators Rob Portman of Ohio and Tom Carper of Delaware said in the report, published last week, that Kaleo, Inc. "exploited the opioid crisis by increasing the price of its naloxone drug EVZIO by more than 600 percent (from an initial price of $575 per unit to $3,750 and then $4,100 eleven months later)." Portman, a Republican, and Carper, a Democrat, head the Senate Homeland Security and Governmental Affairs investigative subcommittee, determined the Virginia-based company advise doctors’ offices to sign documents establishing that Evzio, which administers the opioid antidote naloxone, was medically necessary for overdoses - guaranteeing government health programs would cover costs. 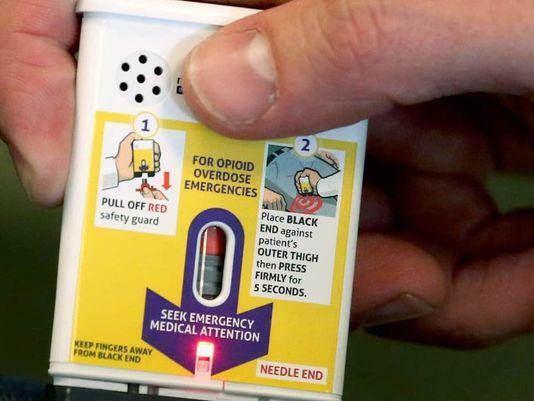 “Naloxone is a critically important overdose reversal drug that our first responders have used to save tens of thousands of lives,” Portman said in a statement. Kaleo justified its pricing strategy in a statement and said it was strategizing with insurers to lower prices. Drug-pricing consultants told the Senate subcommittee that Kaleo's price should be between $250 and $300 - not $4,000. 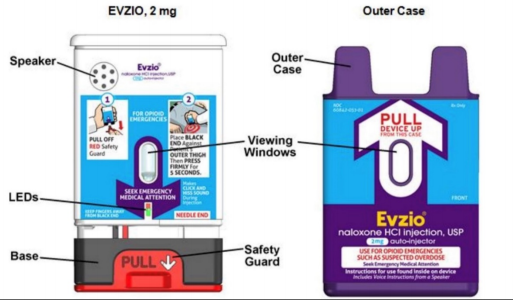 Cheaper brand-name naloxone products are available including Narcan, cost $125, and more inexpensive generic naloxone products under $100. The price jump came after Kaleo contracted two Chicago-based consultants, Todd Smith and Benjamin Bove, who have had plenty of experience hiking drug prices for pharmaceutical companies at the taxpayer's expense. The consultants came up with a scheme for Evzio, and Kaleo paid the consulting firm, Underhill Pharma LLC., more than $10 million to figure out how to milk government healthcare programs. In 1Q 2016, Kaleo increased the drug’s price to $3,750, indicating that it was aimed at making sure people could get the drug fully subsidized. Kaleo’s website detailed all individuals with commercial insurance “pay absolutely nothing out of pocket” for the drug, so long as they go through a direct delivery service. Smith and Bove pitched a “patient-access-centered model” that was hassle-free for doctors and easy for patients too, since customers paid low or zero co-payments. At least three other pharmaceutical companies in which Smith and Bove played important roles sharply raised prices on pharmaceutical products -- in one instance by 4,116%, Bloomberg reported. It seems like the government, and ultimately taxpayers will be the biggest losers in yet another drug price scheme. In other related news, President Trump scolded Pfizer about raising drug prices earlier this year, and The Wall Street Journal has just reported that the pharma giant is planning again to raise prices on 41 drugs. Is President Trump just all talk and when do the American people get relief from out of control drug price inflation?